It is a google engine that we use to create our chatbot and to integrate this chatbot with our voxibot service.to create chatbot service there is no big difference between Google chatbot and Watson chatbot or either another engine. Note : every step you do be sure to save the changes SAVE . 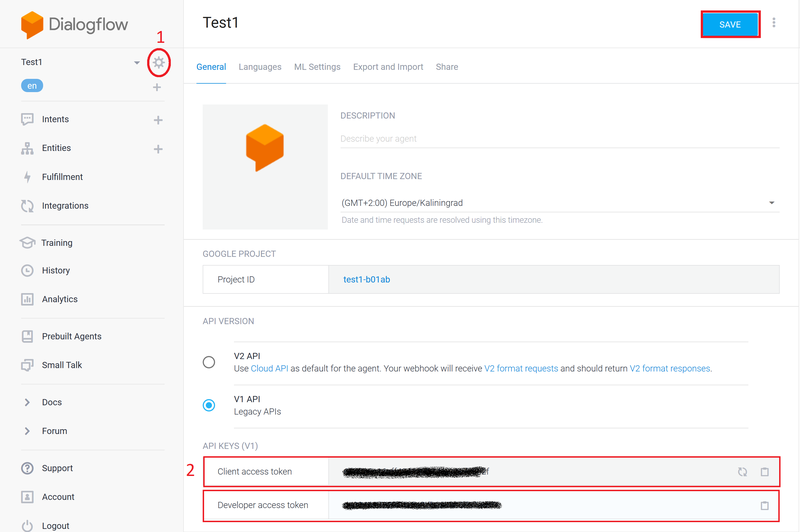 At begin, to start your Dialogflow you need a google account. Once you have a google account you can start your project to build chatbot. 2. 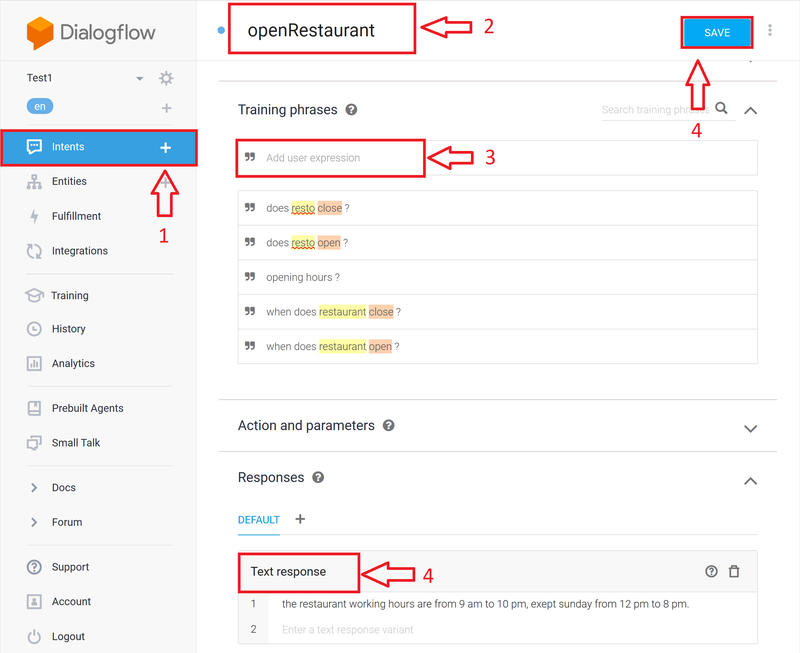 First of all, create an agent is the first step for building chatbot in Dialogflow. 3. let’s start with a small step which activates a small talk which already exists. 4. Create chatbot (intent, entities, and response), we will make a simple example to explain how to start with the first chatbot. b. create your intents, choose a name to distinguish your intent, in Training phrase put the questions that you expect from users. Then scroll down to responses here we will insert the answers to previous questions.